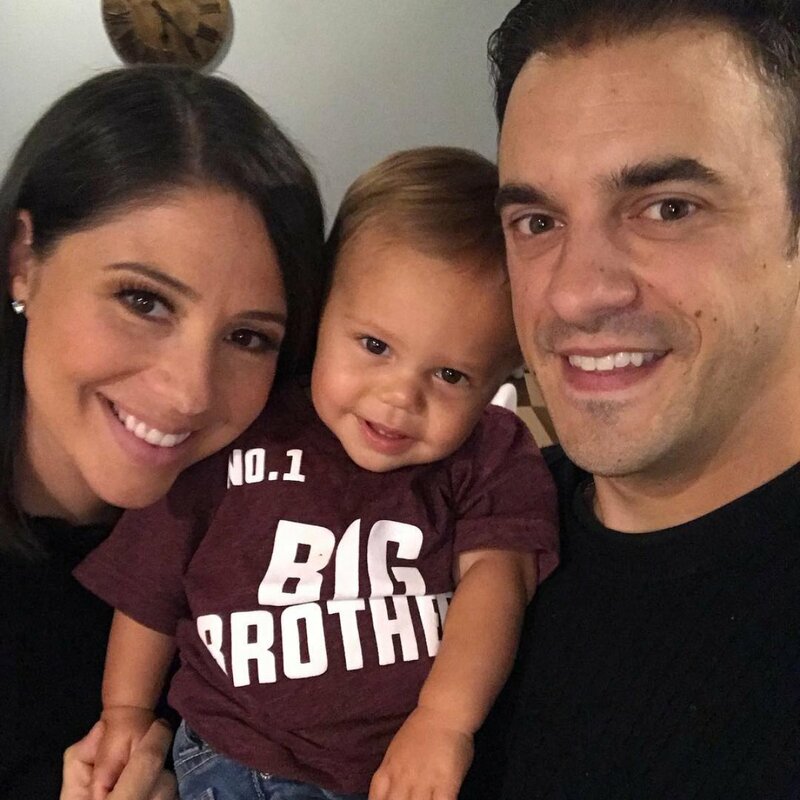 Dan Gheesling and his wife Chelsea Gheesling are expanding their family. The Season 10 Big Brother winner and Chelsea have announced on Instagram they are expecting their second child together. The couple shared the big news with fans on social media this past weekend by posting the same family photo, which included their son Desmond wearing a "No. 1 Big Brother" T-shirt that was a gift from a close friend. "Des is going to be a big brother! Excited to be welcoming baby #2 to House Gheesling," Dan, 34, captioned the image. Meanwhile, Chelsea wrote alongside the adorable picture on Instagram, "Des is going to be a big brother! Thrilled to welcome baby #2 this March." Dan, who also finished as the runner-up of Big Brother's fourteenth season, told E! News that Chelsea discovered she's pregnant on Desmond's first birthday in July 2016. "It was a bit of a surprise," Dan admitted. "A welcomed and exciting surprise, but definitely a surprise." Dan apparently loves being a father to Desmond, so the idea of having another little bundle of joy in his life excites him. "I've really enjoyed seeing Desmond's personality come out. He can light up a room with his smile and I'm not just saying that because I'm his dad," Dan gushed to E! News. "He's a very special boy and I think he's going to do some unique things with his life." Dan also couldn't be more in love with Chelsea, whom he wed in July 2011. "My wife Chelsea is incredible, I don't know how she does it," he shared. "She is an amazing mother, and such a supportive wife, not to mention she runs her own gifting business while taking care of her boys at home and doesn't skip a beat. We're both looking forward to welcoming another member to our little family." Dan is best remembered for receiving all seven jury votes to win Big Brother's tenth edition. He then appeared on Season 14 as a coach to the houseguests but was granted permission to play about halfway through the game.